Dimensions: 5 feet high x 7 feet wide. Each triangle approx. 11 inches long , each side. 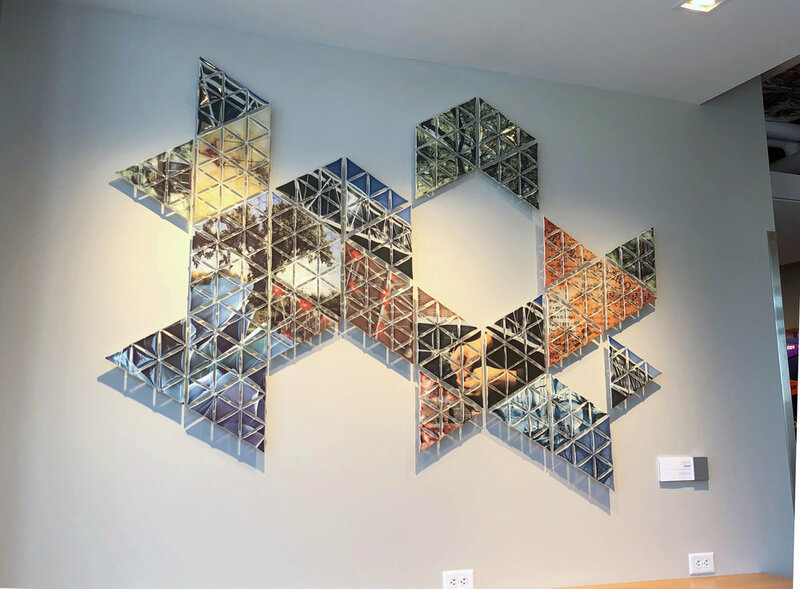 Materials: 36 kiln-formed glass triangles with custom frit-printed imagery. Stainless-steel standoffs. 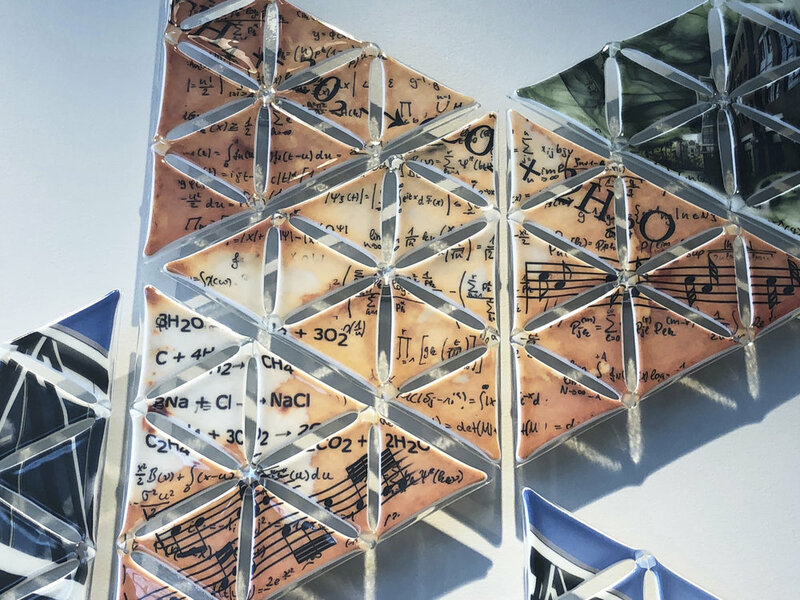 for the Chemistry Depart­ment and the interdisciplinary vision of Augsburg College.